Robert Redford’s 2015 movie A Walk in the Woods (release date is September 2) is about hiking the Appalachian Trail (AT) and rediscovering America. After seeing the movie or reading the book, you're sure to be inspired to #takeahike in the mountains! 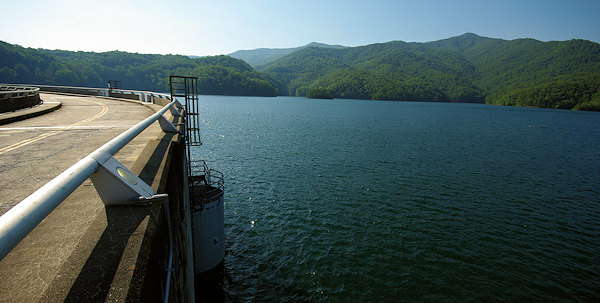 While most of the film locations are in Georgia near the southern end of the 2,174-mile trail, the biggest landmark in North Carolina that you’ll see in the movie is Fontana Dam. We love to walk the AT across the top of the tallest dam in the eastern USA. 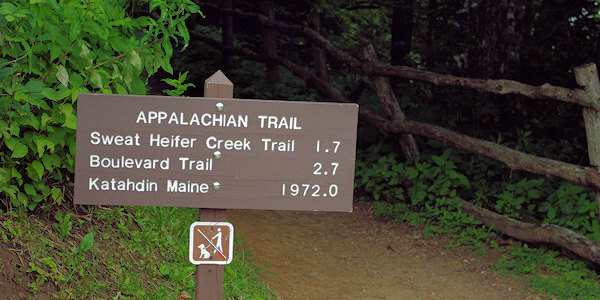 Due to this movie and another recent movie "Wild", the Appalachian Trail is expecting record numbers of hikers in 2016. 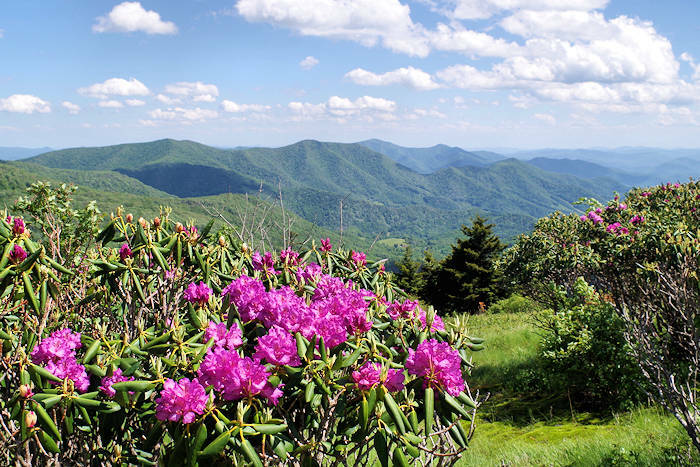 The North Carolina section of the AT includes the highest mountains and most spectacular scenery for hikers journeying through some very remote areas. In 2014, more than 2,500 people set off to hike the entire length of the AT, but only 700 or so completed it. More than 2 million people a year hike sections of the AT. Great news! You can enjoy the same amazing scenery and sense of escape in a day hike on the AT. Near Asheville, there are several great sections of the Appalachian Trail that you can easily reach and hike a mile or 20. See our favorite AT hiking sections in the North Carolina mountains that are easy day or overnight hikes that provide amazing scenery. Whether you hike 1.7 miles or 1972 miles, the AT offers an amazing escape. We took the above photo at Newfound Gap in the Great Smoky Mountains National Park on our hike north to Charlie's Bunion. 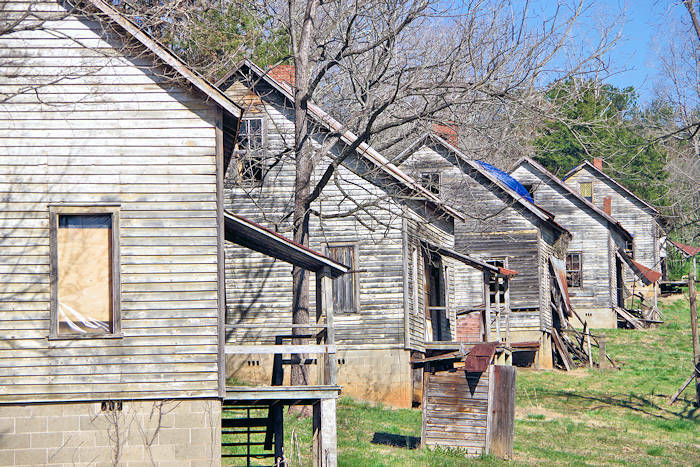 In the North Carolina mountains that surround Asheville, you’ll find thousands of miles of hiking trails. Hike south on the AT for 7.5 miles to reach Clingman's Dome. Since there is parking at both ends, you can do a one-way hike here if you have two cars. Read about more AT day hikes. The Appalachian Trail is a unit of the National Park Service and is the longest hiking-only footpath in the world. Most trail maintenance and trail building is done by volunteer trail crews. Hikers who complete the entire Appalachian Trail are called 2,000-milers. Those who hike the Trail in less than one year are called "thru-hikers," those who hike the A.T. in sections over a period of years are called "section-hikers." Most thru-hikers start their trips in March or the first half April at Springer Mountain in Georgia and finish at Katahdin in September. Jennifer Pharr Davis of Asheville set the record for the fastest thru-hike of the AT in 2011, with the time of 46 days, 11 hours, and 20 minutes, an average of 47 miles a day (insane!). In 2015, Scott Jurek broke her record by finishing about 3 hours faster. For plenty of choices to walk in the woods near Asheville, see our Top 75 Hikes that range from short walks to challenging treks. 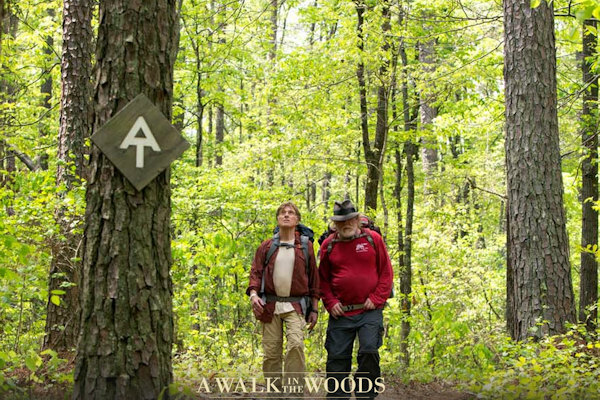 The movie A Walk in the Woods is based on Bill Bryson's popular book from 1998 about his time on the AT. After spending two decades in England, Bill Bryson returns to the U.S. and decides to "rediscover" his homeland by hiking the Appalachian Trail with one of his oldest friends. The film stars Robert Redford, Nick Nolte, Kristen Schaal, Nick Offerman, Mary Steenburgen and Emma Thompson. 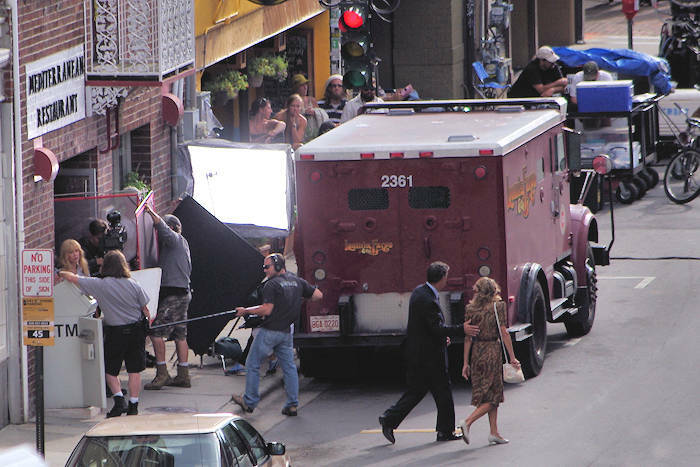 Read about other movie locations near Asheville.